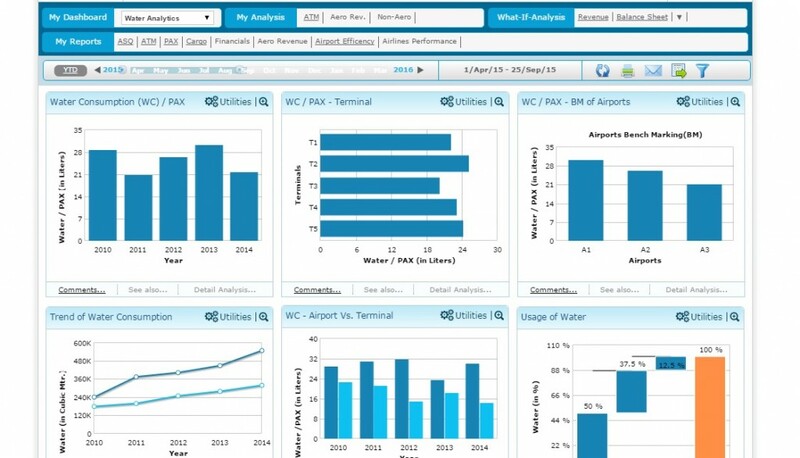 Airport Analytics (AA+) provides analytics around water consumed in each terminal of the airport as well as per passenger. Comparison between water consumption for entire airport versus terminals is also available. 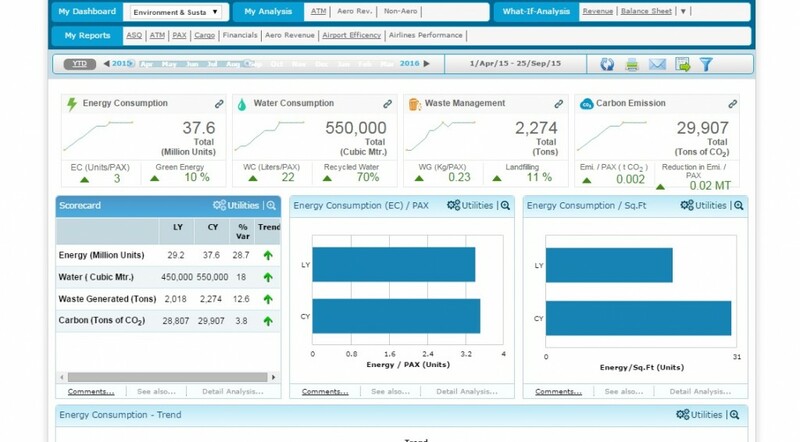 Airport Analytics (AA+) dashboards also offer valuable information on water quality and composition. Bench marking of the airports with respect to water consumption per person is also offered by the solution. 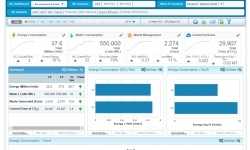 Analytics showing trend of water consumption over time is also included. 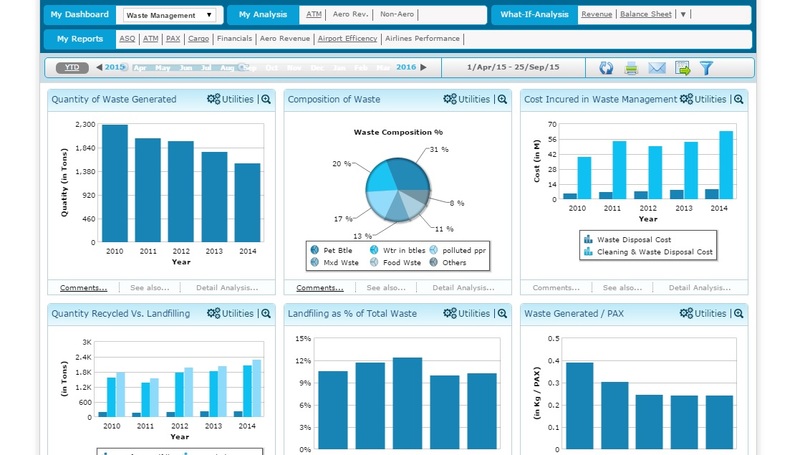 Airport Analytics (AA+) provides analytics around amount of waste generated at an airport, waste generated per person, cost of its disposal, use of waste for land-filling; percentage of different kinds of waste generated at the airport. Comparison around quantity recycled versus landfilled is also provided by the solution. 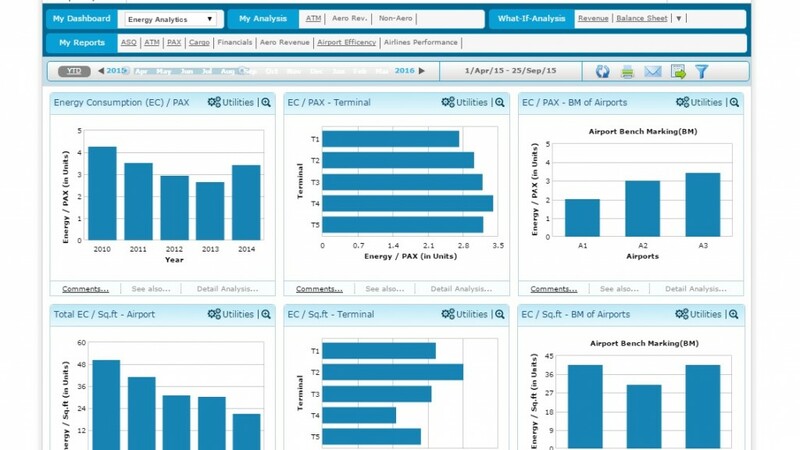 The analyses offered by Airport Analytics (AA+) can be seen across time periods.